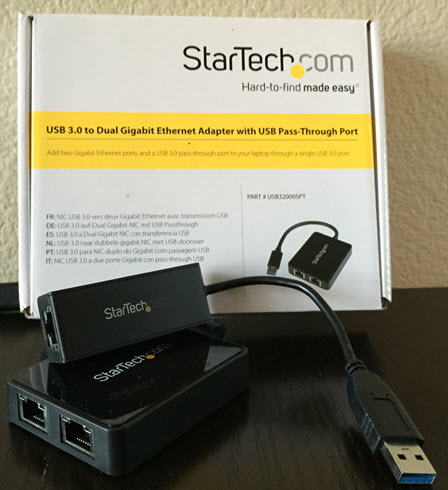 Earlier this month I wrote an article demonstrating a functional USB ethernet adapter for ESXi 5.1. This was made possible by using a custom built driver for ESXi that was created over three years ago by a user named Trickstarter. After having re-discovered the thread several years later, I had tried reaching out to the user but concluded that he/she has probably moved on given the lack of forum activity in the recent years. Over the last few weeks I have been investigating to see if it was possible to compile a new version of the driver that would function with newer versions of ESXi such as our 5.5 and 6.0 release. 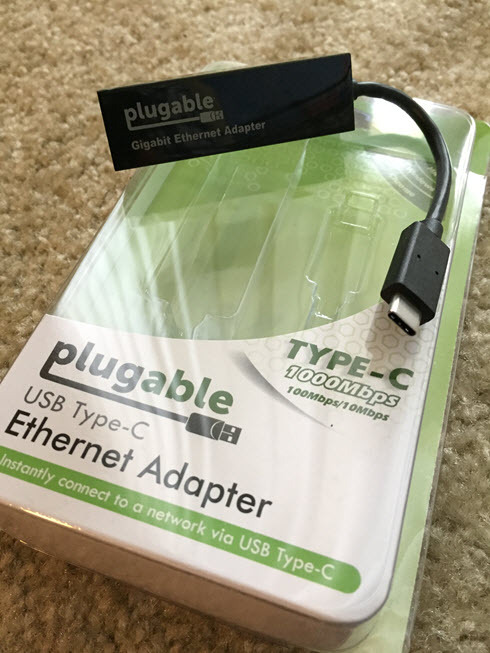 UPDATE (01/22/17) - For details on using a USB-C / Thunderbolt 3 Ethernet Adapter, please see this post here. UPDATE (11/17/16) - New driver has been updated for ESXi 6.5, please find the details here. 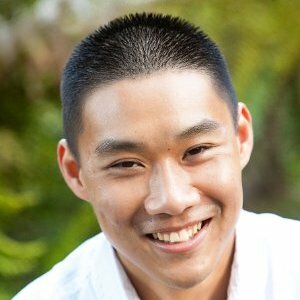 After reaching out to a few folks internally, I was introduced to Songtao Zheng, a VMware Engineer who works on some of our USB code base. Songtao was kind enough to provide some of assistance in his spare time to help with this non-sanction effort that I was embarking on. Today, I am please to announce that we now have a functional USB ethernet adapter driver based on the ASIX AX88179 that works for both ESXi 5.5 and 6.0. This effort could not have been possible without Songtao and I just want to say thank you very much for all of your help and contributions. I think it is safe to say that the overall VMware community also thanks you for your efforts. This new capability will definitely enable new use cases for vSphere home labs that were never possible before when using platforms such as the Intel NUC or Apple Mac Mini for example. Thank you Songtao! I would also like to extend an additional thank you to Jose Gomes, one of my readers, who has also been extremely helpful with his feedback as well as assistance on testing the new drivers. Now, Before jumping into the goods, I do want to mention there are a few caveats to be aware of and that I think it is important to understand them before making any purchasing decisions. First and foremost, this is NOT officially supported by VMware, use at your own risk. Lastly, for the USB ethernet adapter to properly function, you will need a system that supports USB 3.0 which kind of makes sense for this type of a solution to be beneficial in the home lab. If you have a system with USB 2.0, the device will probably not work at least from testing that we have done. Note: For those interested in the required source code changes to build the AX88179 driver, I have published all of the details on my Github repo here. Disclaimer: In case you some how missed it, this is not officially supported by VMware. Use at your own risk. Note: There may be other USB ethernet adapters that uses the same chipset which could also leverage this driver but these are the only two that have been verified. Note: Although the drivers were compiled against a specific version of ESXi, they should also work on the same major version of ESXi, but I have not done that level of testing and YMMV. 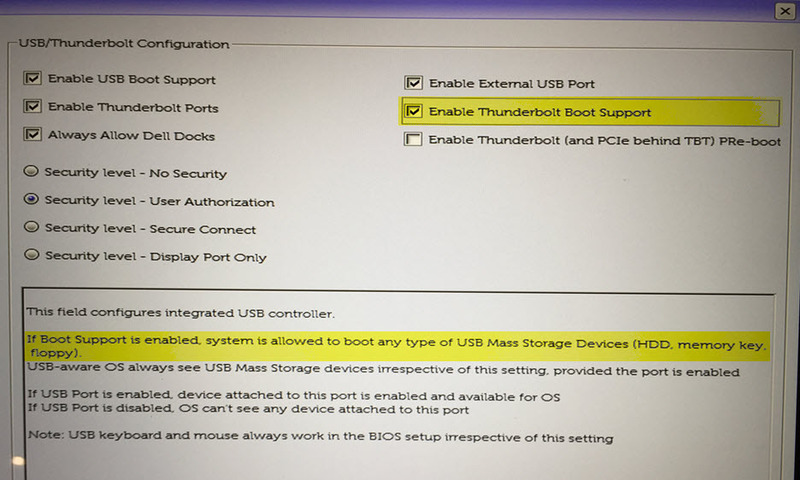 What you will be looking for is an entry stating "Linux Foundation 3.0 root hub" which shows that ESXi was able to detect a USB 3.0 port on your system. Secondly, look for the USB device you just plugged in and ensure the "Bus" ID matches that of the USB 3.0 bus. This will tell you if your device is being claimed as a USB 3.0 device. If not, you may need to update your BIOS as some systems may have USB 2.0 enabled by default like earlier versions of Intel NUC as desribed here. You may also be running pre-ESXi 5.5 which did not support USB 3.0 as mentioned here, so you may need to upgrade your ESXi host to at least 5.5 or greater. 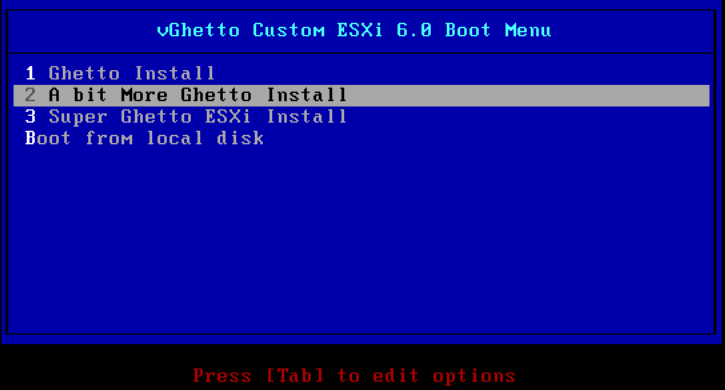 You can either install the VIB directly onto your ESXi host or by creating a custom ESXi ISO that includes the driver using a popular tool like ESXi Customizer by Andreas Peetz. You will need to reboot for the change to go into effect. 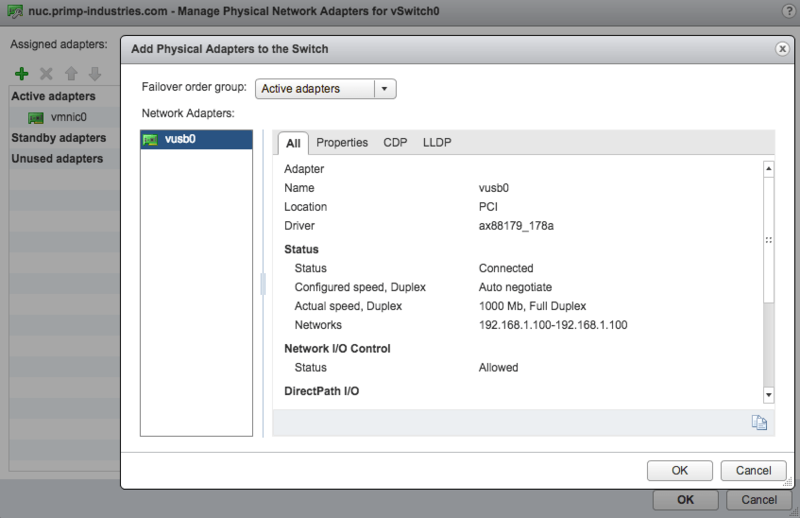 To add the USB uplink, you will need to either use the vSphere Web Client or ESXCLI to add the uplink to either a Virtual or Distributed Virtual Switch. Note: If you try to remove the VIB while the USB network adapter is still plugged in, you may hang the system or cause a PSOD. Simply reboot the system if you accidentally get into this situation. If you are not receiving link on the USB ethernet adapter, it is most likely that your system does not support USB 3.0. If you find the a similar message like the one below in /var/log/vmkernel.log then you are probably running USB 1.0 or 2.0. ESXi does not natively support USB NIC and upon a reboot, the USB NICs are not picked up until much later in the boot process which prevents them from being associated with VSS/VDS and their respective portgroups. 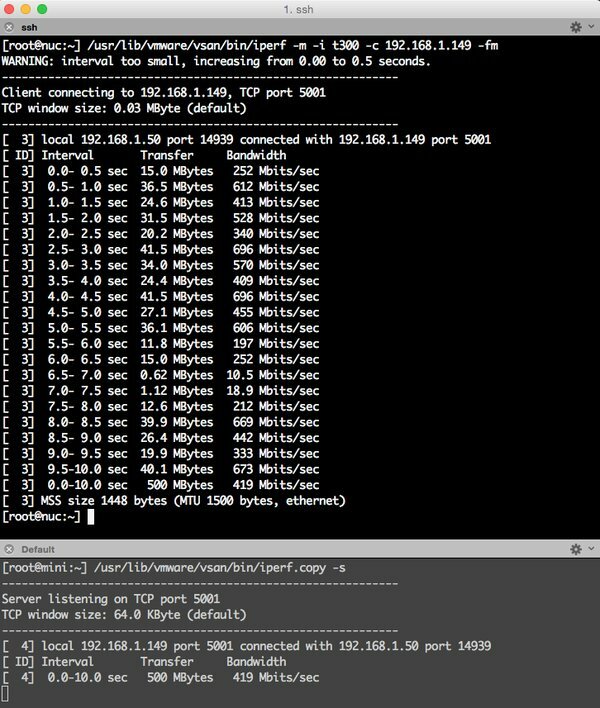 To ensure things are connected properly after a reboot, you will need to add something like the following in /etc/rc.local.d/local.sh which re-links the USB NIC along with the individual portgroups as shown in the example below. You will also need to run /sbin/auto-backup.sh to ensure the configuration changes are saved and then you can issue a reboot to verify that everything is working as expected. For platforms that have limited built-in networking capabilities such as the Intel NUC and Apple Mac Mini, customers now have the ability to add additional network interfaces to these systems. This will now open up a whole new class of use cases for vSphere based home labs that were never possible before, especially with solutions such as VSAN and NSX. I look forward to seeing what our customers can now do with these new networking capabilities. 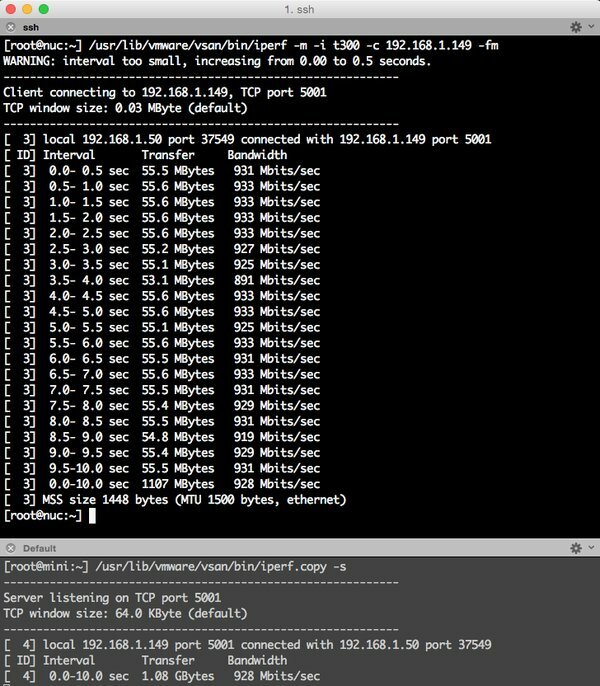 Here are some additional screenshots testing the dual USB 3.0 ethernet adapter as well as a basic iPerf benchmark for the single USB ethernet adapter. I was not really impressed with the speeds for the dual ethernet adapter which I had shared some more info here. Unless you are limited on number of USB 3.0 ports, I would probably recommend just sticking with the single port ethernet adapter. Over the last couple of weeks there have been several reports coming in from customers that the local SSD device found in newer Apple Mac Pro 6,1 were no longer being detected by ESXi. Starting with ESXi 5.5 Patch03 and ESXi 6.0, the Apple Mac Pro 6,1 was officially supported but it looks like the latest versions of the Mac Pro 6,1 that are being shipped contain a slightly different local SSD device which is not recognized by ESXi. 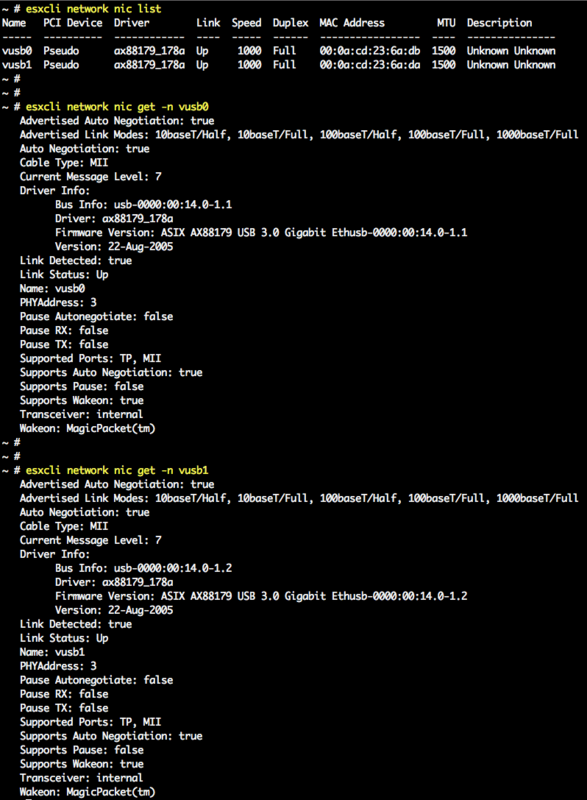 This was not the first time that this has happened, when the 2014 Mac Mini were first released, they too had a similar issue in which a custom VIB was required to get the internal device to get recognized by ESXi. There is an internal bug (PR 1487494) that is currently tracking the issue and if you are also experiencing this problem, please file an SR and have the GSS Engineer attach your case to this bug. 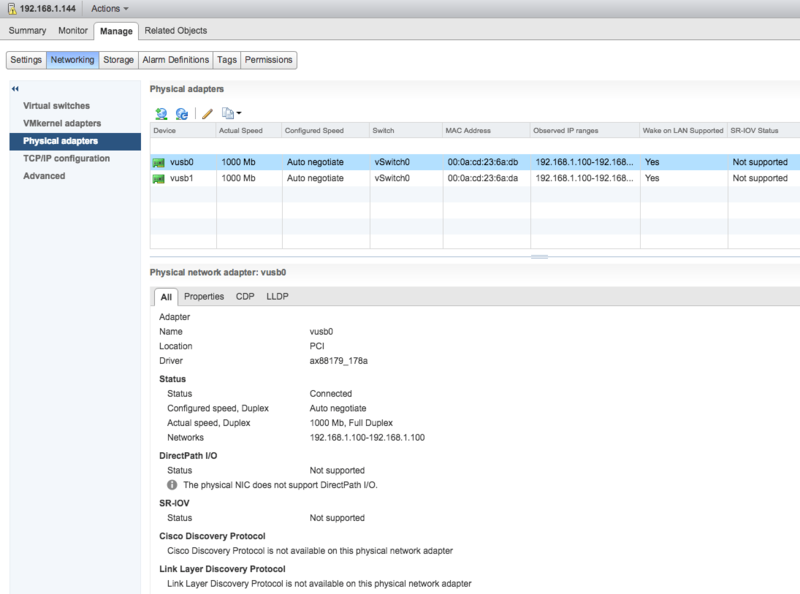 In the meantime, there is an unofficial workaround which was discovered by one of my readers (Mr. Spock) that by installing the community SATA-XACHI VIB over on Andreas Peetz VIB Depot site, both ESXi 5.5 and ESXi 6.0 will then recognize the local SSD Device. You will need to either use VMware Image Builder or Andreas ESXi Customizer tool to create a custom image if you decide to install ESXi directly on the local SSD device. I personally would recommend installing ESXi on USB device, this would allow you to install the VIB as a post-installation and not requiring a custom ESXi image.